I am therefore taking over the Bellyaches series. I see you are actively modding again? Any chance this mod will see any updates as well? Yes, this is on my list but since you asked and since it popped up on my lists i'll do it next. Should be an update by end of next week at the latest. Hi! I've always loved this mod and I used to use it for Oldrim. 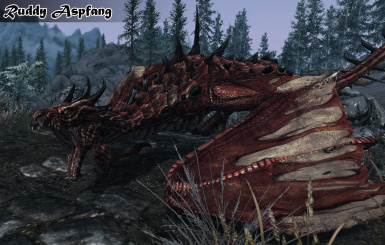 I have a question, is it possible to pick which dragons appear via the mod? 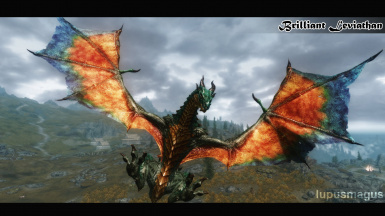 Since the only problem I have ever had is that some dragons in the mod don't give dragon souls when killed. 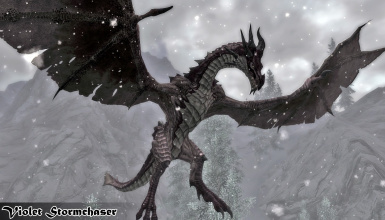 I always found this odd since in TES lore the dragons are supposed to be 'shards' of Akatosh and the Dragonborn was sent to collect them all so that Akatosh could eventually reabsorb them. 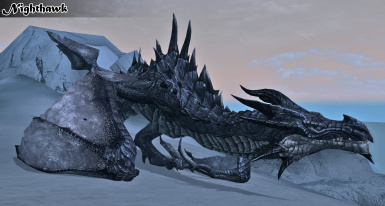 Even from a non-lore perspective it felt like the 'soulless' dragons weren't real dragons since they didn't give souls and burn away into a skeleton on death. I understand that it's due to the ease of which one can kill those particular dragons, but I feel that all dragons should be at least somewhat of a challenge anyway. Uhmm thankyou for reading and thankyou for porting this kickass mod and continuing to support it! Thank you very much for keeping this mod available to us and updated. heh...took me a minute to figure it out. You have Diverse Werewolves installed, but need Diverse Dragons. It can't be resolved because one of its masters isn't loaded. Hope that helps. So if using Bellyaches version they will spawn at specific points, not randomly? 50 scattered throughout the world sounds like a lot! I am curious can only the player trigger agro then or will any NPC awaken their wrath? As I have mods that add wandering npc's such as travelers of skyrim and immersive patrols. Also is there a way to make it so they never respawn when you kill them? Also is there a way to make it so they never respawn when you kill them!?!?!?!?!?!?!?!?!? And I have attempted to use Bellyache's version but there may be a conflict... As dragons are being triggered / awoken by npc's other than me before I even get near the dragons spawn point... I use a lot of mods that add NPC's to the world. Immersive patrols, extended encounters, skytest, animallia. I'll get these this week. Oh! Thank you very much. 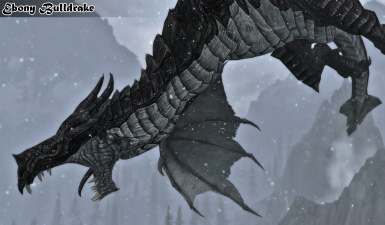 In it's current state I don't recommend using the version that places dragons in the world if you use mods that add encounters or npcs to the world as I'm noticing a lot of the resting dragons are frequently triggered by others... Can't tell exactly which because the dragon will become active and go into flight before I get to its location. 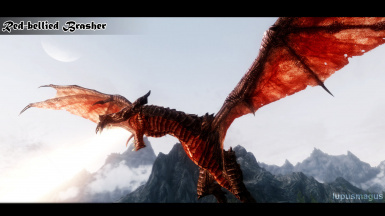 I use Skytest, Animallica, Skyrim Revamped and Extended Encounters. Also If I use the version that adds the dragons to the level list will I still need a compatible patch for mighty dragons and diverse dragons if using a bashed or smashed patch? Because the patches on this page out of date. 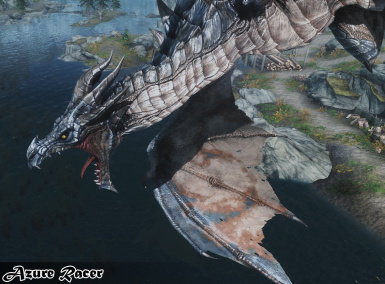 All 3 of these mods add dragons to the level list. well technically both bellyaches and diverse add new dragons, where as Mighty dragons replaces vanilla dragons. 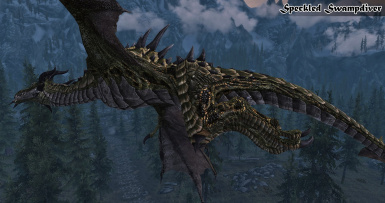 So can all 3 function together with a bashed or smashed patch and dragons from all 3 mods will spawn? I have a task from Riften to go kill a dragon. I show up and there ain't no dragon, just skeletons and the quest marker tells me a dragon should be there? 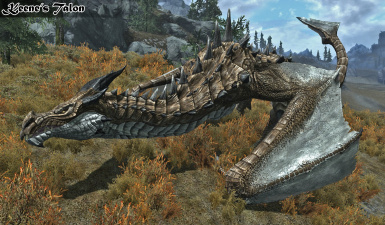 Does a certain amount of time need to pass after the Dragon Rising Quest in Whiterun for the dragons to spawn in these locations? I have Diverse Dragon Collections, Enhanced Mighty Dragons, Bellyaches New Dragon Species and Serio's Enhanced Dragons Behavior. Sorted by LOOT and a Smashed Patch with Mator... I have been attacked by dragons in the wild a couple of times so far. Not a clue if it has anything to do with this mod, another mod or just a random glitch... but problem solved. 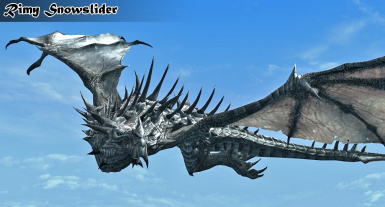 After Dragon Rising Quest is complete is when dragons should appear at the lairs and word walls... In the console I used show DragonsReturned "This was set to 1" as it should have been... but show DragonsEnable was set to "0" for reasons unknown... After I set DragonsEnabled to 1 the problem was immediately fixed and dragons now appear at lairs and walls.. Both of these should have been enabled "1" after Dragon Rising but hat was not the case. Anyone else experience this or have any ideas? Random glitch? Mod conflict? 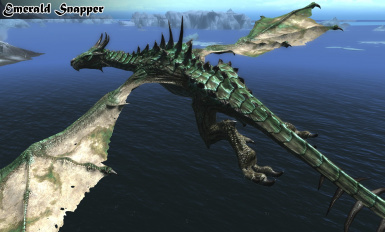 Hilarious coincidence: with the "dragons pre-placed in the world" version, if you have Legacy of the Dragonborn and LAL and the patch to give you the Start as the Explorers Society Guildmaster option, then you spawn with a dragon pretty much on top of you and die almost immediately. 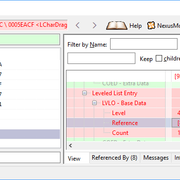 Switching back to LL only version.